The Autobarn Volkswagen of Countryside is dedicated to providing you with genuine VW parts, as well as providing the most complete inventory. It’s essential to use only the parts that have been engineered for your vehicle — that means VW OEM parts. It’s what our service team does on any repairs, and it’s what you should do for any DIY work. The knowledgeable staff at The Autobarn Volkswagen of Countryside’s Parts Department is here to answer all your questions about genuine VW parts. Feel free to contact us or order your VW parts online using the buttons below. 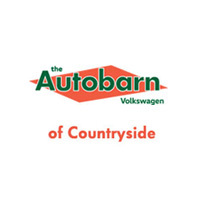 Why Choose The Autobarn Volkswagen of Countryside for Your VW Parts Needs? *This offer cannot be combined with any other offers or discounts, and is for in store purchase only.